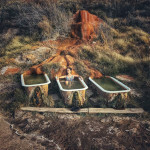 The best part about any road trip is the stuff that happens along the way. We’ve compiled a list of our favorite places that are not just worth the detour — but are unlike anything your friends are posting about. Get out here and experience the more authentic adventures that present themselves when you take a back road through a small town. 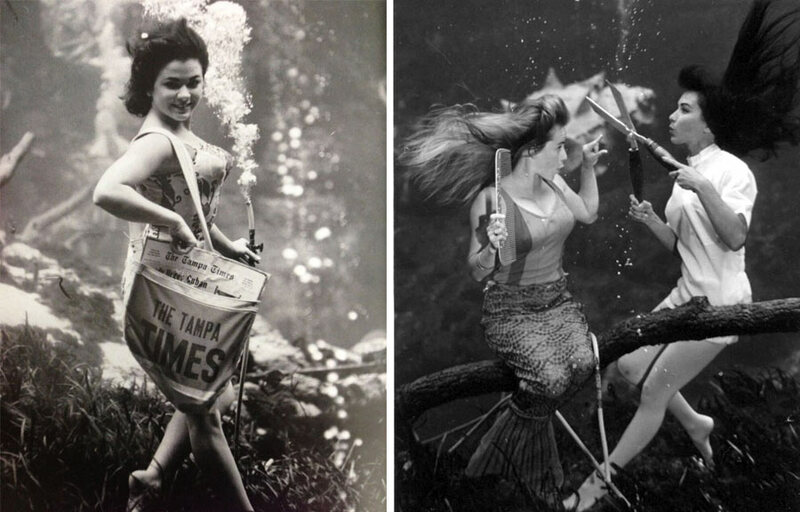 The local lore of the Weeki Wachee mermaid was created as a roadside tourist attraction in 1947 by Newton Perry, a former member of the U.S. Navy who trained Frogmen to swim underwater in World War II. One day while out exploring the Two Lane back roads an hour north of Tampa, he discovered a large spring 12 miles off of The Gulf of Mexico. When he dove into it, he saw it was littered with corroded cars, appliances, and trash that were damaging its ecosystem. Unwilling to let that continue, he organized a cleanup allowing Weeki Wachee Springs to become the hidden treasure it still is today. 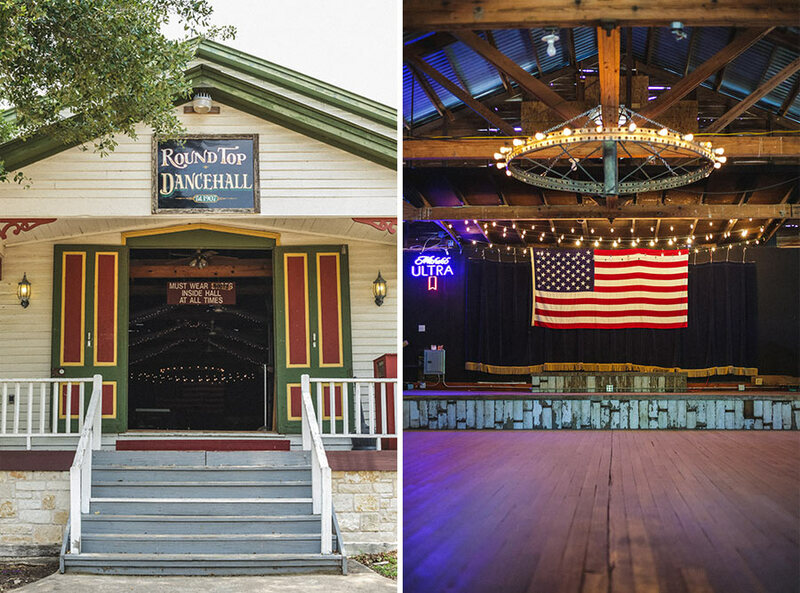 When in Texas go ahead and let loose at more than 400 different dance halls across the state like the locals have been doing since the mid-1800s. Without the help of power tools, Central and Eastern European immigrants used their skills and craftsmanship to construct these centers for the benefit of their communities. Inside these walls, they discussed agriculture, traded livestock, attended school, worshiped, cooked, and visited with each other. They were free to celebrate their cultural heritage without judgment. This included beer-making, singing in their native languages, playing the instruments they brought with them and dancing. Each hall has a different style and flavor, but all are family friendly, require no dress code, and no RSVP. Come on in! Remember what camping was like before glamping? We didn’t care about mud on our shoes, bug bites, or cell reception. The food wasn’t in the fridge, it was in the water, and after we cooked it, we’d eat it around the campfire – watching for hours as flames turn to coals and embers floated skyward was all the television we needed. These days, technology has overtaken us. Where we once asked a stranger for directions and perhaps wound up having a conversation with someone interesting who maybe sent us the long way that took as through a treasure of a small town, now we plug an address into our GPS and take the biggest, fastest highway to our destination. No muss, no fuss, no wasted time . . . no unforgettable characters, no unexpected experiences, no precious memories of the time we took all day to get there and discovered a piece of America on the way. So let’s ditch the luxury, pick up a bottle of bug spray, and head out for a real all-American camping trip. And we know just where to go: Elkhorn, Wisconsin. Forty minutes south of the buzzing neon and crowded honkytonks of Nashville’s Lower Broadway strip are miles of winding two-lane back roads connecting small towns to more small towns. Today, it’s easy to pile into the car and make a Target run, but for the folks who still live way out in the sticks, it’s an entire day’s commitment. 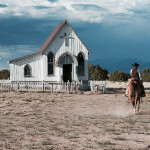 Back before cars, people had to walk or ride a horse to the town’s general store for supplies. These little stores were responsible for providing food and goods to their neighbors during WWII and the Great Depression and many still do today! 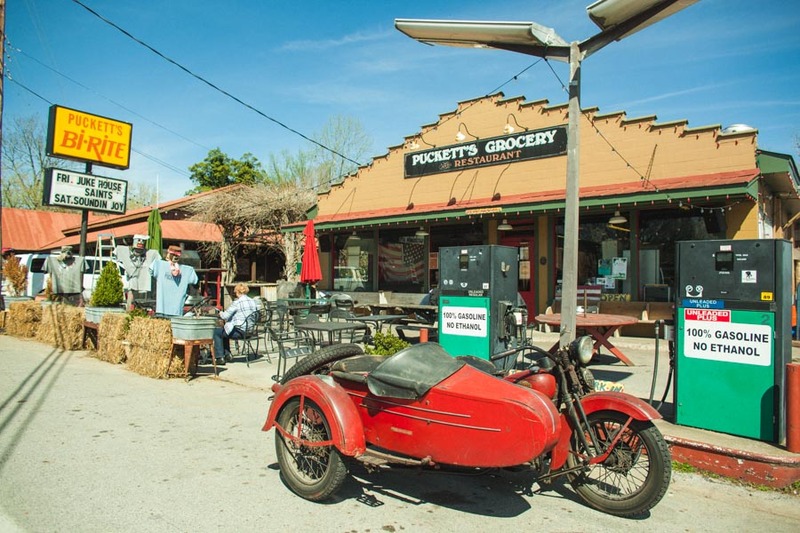 If you want to get out and see what America was living like before the tech boom and Amazon Prime, grab your travel buds and take our one-of-a-kind 28-mile backroad general store tour through southern Tennessee. You’ll start in Leiper’s Fork and end on the famous Natchez Trace Parkway where you can choose the rest of your adventure. Follow Mike’s personal route through the charming countryside of southern Tennessee and best picks for a backroad bologna sandwich. 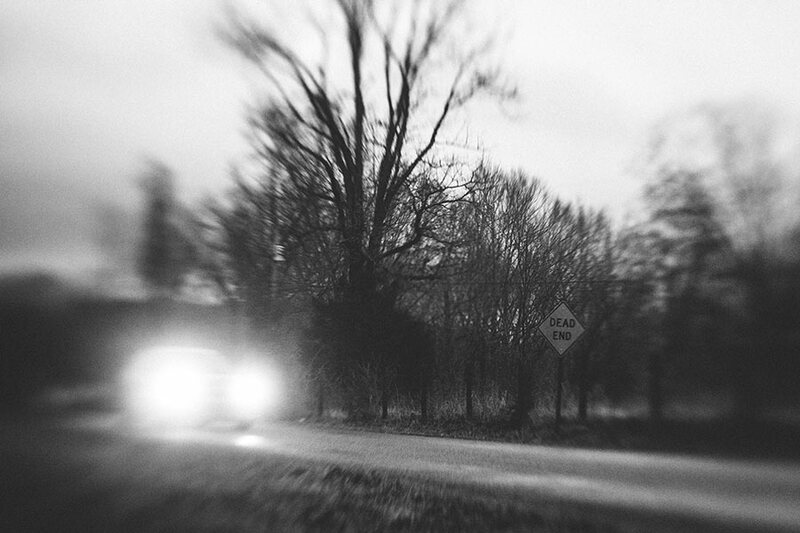 Every small town has a local legend, told and retold, like a phantom ghost car that chases you for miles or a spooky spirit that likes to show up in your review mirror. What makes these stories so intriguing is that without even having been there, your imagination can totally set up the scene. Pile in the car and test your courage. 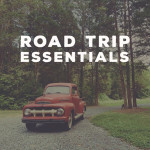 Just make sure you keep the motor runnin’ and make sure the car is gassed up in case you have to outrun something…. or someone…. 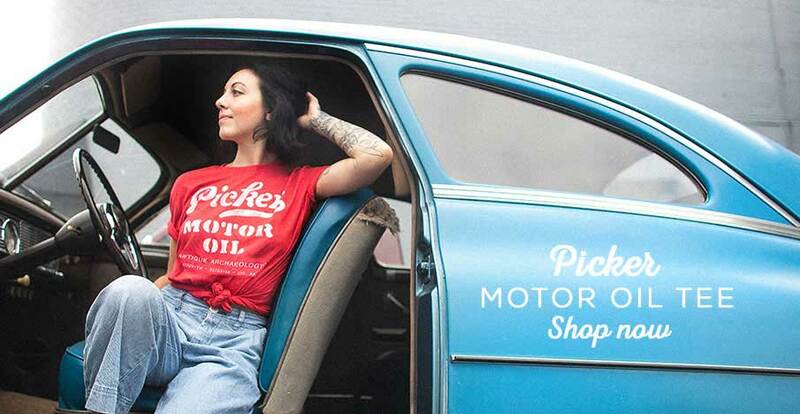 This Antique Archaeology shirt is for the ultimate picker and motor oil fan. Includes zip codes for both Nashville and LeClaire stores. Thank you for sharing these beautiful place. 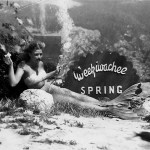 The Weeki Wachee mermaids looks like a great place to start the trip.